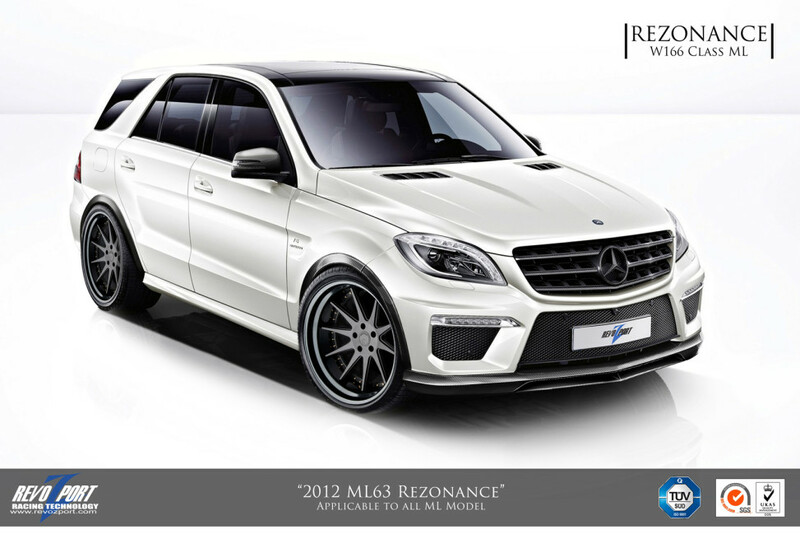 The new W166 ML63 may consider being the fastest and best looking ML ever since the ML is launched, the new turbo v8 with 525hp engine is however not enough in Revozport’s mind, perhaps 600hp is more like it. By putting in a new carbon induction system, engine management mapping and a complete titanium exhaust, it takes this mean SUV to a complete new level of fast. 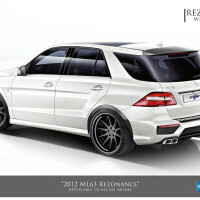 Now with 600hp on hand and the roaring sound from the 6kg titanium exhaust, Revozport have designed a complete new set of aerokit for all the ML63 owners. 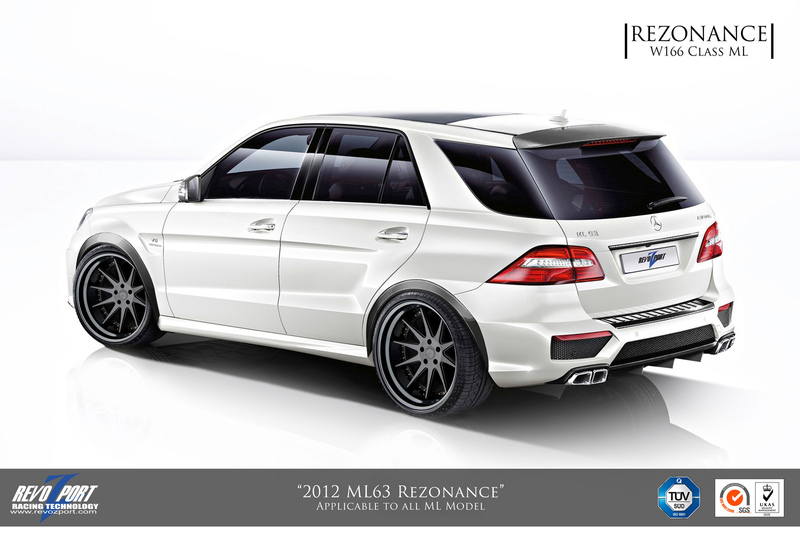 Revozport call it the Rezonance ML, which comprises of a new double deck carbon fibre front splitter, 30mm wider carbon over fender kit which allow this 600hp beast to put on their bespoke 22” forged alloy 13J x 335 tires all round. The rear shows a complete 3 element diffuser in carbon fibre, a trunk roof spoiler and although retaining the AMG exhaust tips, the exhaust system is now complete Titanium. 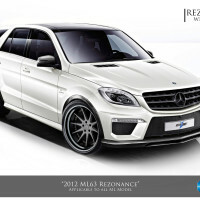 Other parts includes carbon mirror cover and front grills are all standard features. The Rezonance ML63 complete aerokit is also available to the W166 ML owners by special request as a bespoke program.